We love when communities come together over SEVEN! 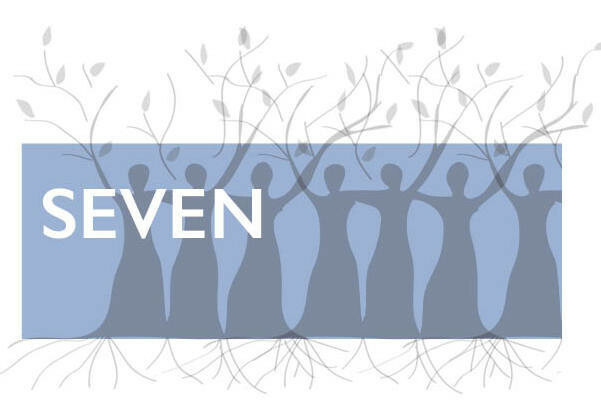 In Sacramento, California, the local chapter of the National Council of Jewish Women (NCJW) decided to present a reading of SEVEN, thinking that it would be a strong kickoff for the upcoming International Women’s Month and also an inspiring way to celebrate Founder’s Day. Just as the women of the play have courageously fought for justice, freedom, and equality–just as they struggled with seemingly insurmountable barriers to create social change–so too did NCJW founder Hannah G. Solomon. Her leadership at the turn of the 20th century helped provide vulnerable female immigrants with jobs, housing, and training. Board member Claire Lipschultz compared her to the women of SEVEN saying, “Hannah G. Solomon, founder of NCJW 122 years ago, could have been one of those women, in that she, in the early days of the organization, stationed members at Ellis Island to protect immigrant women and children arriving in this country alone.” Thus, performing the play seemed like a fitting tribute. Directed by the award winning theater artist, Jan Ahders, seven talented Sacramento actors and activists will bring this remarkable play to life. “We have assembled an amazing cast of women for this production, including a woman who actually worked in Ukraine for the domestic violence organization founded by her character in the play,” said Lipschultz, who was founder of Story Voices and has been active in Sacramento theater for years. Following the reading will be a discussion, as well as a presentation recognizing local community organizations that do work empowering women, fighting domestic violence, and working toward ending human trafficking. When NCJW scheduled the event, little did they anticipate the enormous interest in the play. Performances, scheduled for February 22, from 2 – 4 pm at Congregation B’nai Israel in Sacramento, sold out well in advance.